In the seven years since the abbreviated pathway for U.S. licensure of biosimilars went into effect, biosimilars have become one of the fastest growing sectors of the pharmaceutical industry. This webinar will cover the Supreme Court’s recent decision on the “patent dance” and its impact on the timing of biosimilar launches and development strategy. The significant regulatory and policy questions regarding the labeling of interchangeable products, reference product exclusivity, and pharmacy substitution policies will also be discussed. Hear from FDA on biosimilar approvals and development programs, along with final, draft, and upcoming guidance documents and learn about the Biosimilars Council efforts to support the industry. 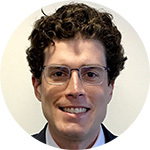 JOE FRANKLIN is Associate Director for Policy on the Therapeutic Biologics and Biosimilars Staff in the Office of New Drugs, CDER, FDA. Prior to his current role, Joe was an attorney in FDA’s Office of the Chief Counsel. Joe has also served as Deputy Chief of Staff at FDA. CHAD LANDMON is a partner at Axinn, Veltrop & Harkrider LLP, where he chairs the FDA and IP Practice Groups. Mr. Landmon has extensive experience in food and drug law and patent litigation and counseling. FDA matters involve client counseling and petitioning FDA and litigating issues relating to the Biologics Price Competition and Innovation Act (BPCIA), including the requirements for the demonstration of biosimilarity and the patent resolution provisions, and the Hatch-Waxman Act, including marketing exclusivities, patent listing, certification and notification requirements, bioequivalence, labeling and other issues. His patent litigation practice is national in scope and concentrates on the life sciences industry. He has litigated a wide variety of FDA and Paragraph IV cases in numerous jurisdictions, including cases involving blockbuster drugs. Mr. Landmon’s practice also includes matters involving the intersection of the antitrust and patent laws, such as issues arising from the settlement of patent and Hatch-Waxman exclusivity disputes. 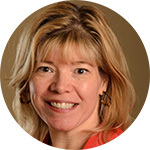 CHRISTINE SIMMON joined the Association for Accessible Medicines (formerly GPhA) in 2012 as the Senior Vice President of Policy & Strategic Alliances, and most recently was named Executive Director of AAM’s Biosimilars Council, founded in 2015. In her current role, Christine is responsible for leading policy development and issues management for AAM, directing the Biosimilars Council, and building relationships with strategic partners in the health care sector, including patient advocacy groups. Christine had previously served as Vice President of Policy, Public Affairs & Development at AAM from 2002-2006. Before rejoining the association, she was the Senior Director of Public Policy for CVS Caremark, where she was the policy lead for the integrated retail, convenient care clinic and PBM enterprise at both the state and federal levels. Previously, Christine was a Senior Policy Analyst at BlueCross BlueShield Association, where she helped position the insurer as a leading voice on pharmaceutical cost and safety issues. Christine received her JD from Georgetown University Law Center and her BA. in American Studies from Georgetown University. 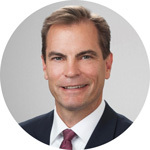 JOHN MANTHEI is a partner at Latham and Watkins and global co-chair of the Healthcare and Life Sciences Practice, where he specializes in regulatory matters involving the US Food and Drug Administration (FDA) for the medical device, pharmaceutical, and biotechnology industries. He advises clients on all aspects of the FDA-regulated product life cycle, post market enforcement, and administrative litigation. Mr. Manthei currently serves as outside FDA counsel to the Medical Device Manufacturers Association (MDMA), a member of the Food & Drug Law Institute (FDLI) Advisory Committee for Medical Devices, and a former member of the FDLI Advisory Committee for Drugs and Biologics. He previously served as Majority Counsel for the US House of Representatives’ Committee on Energy and Commerce (1998-2000). Mr. Manthei is recognized as a leading FDA attorney in industry publications such as Chambers USA (2010-2016) and The Legal 500 US (2012-2016). He has also been named a “Life Sciences Star” by Euromoney (2012-2016) and a “Top 40 Lawyers Under 40” by Washingtonian magazine (2006).